The logistics industry has evolved rapidly over the past two decades. Learn how below! A couple of weeks ago, we discussed the latest projections for the freight industry and how businesses could prepare for potential disruptions. To those in the industry, it may seem like logistics solutions have always been subject to the whims of change. However, the logistics industry has stayed remarkably static for most of history. In truth, most of the changes we’ve noticed in the logistics field have come about over the last twenty years due to the rapid developments in technology and their impact on scalability. The supply chain for shippers has gotten much more complicated, especially with the rise of e-commerce and the growth in emerging markets. The history of AFP Global Logistics reflects this evolution. We started out as a domestic air freight forwarder, but over the years we evolved into a full service, one-stop logistics company. How has the logistics industry in general, and our company in particular, changed over the years? There are three main areas to consider – functionality, adaptation, and global expansion. Today’s logistics companies feature a full range of services for their clients to help them develop comprehensive logistical solutions. However, this wasn’t always the case. Back in the early-mid 90s, most companies in the logistics industry were heavily segmented. Warehouse agents may not have even been in contact with transportation specialists! And there was no such thing as a full-service solution – logistics companies operated on a business model akin to a buffet, where shippers would pick and choose the services they needed. The development of technology within the industry changed the situation. Before, shippers simply looked for a company to help them move their freight. But as technology exploded, shippers increasingly wanted a complete picture of their logistics. They wanted to know where the cargo happened to be at a given point, whether there was a more efficient way of shipping it, and how changes in the overall supply chain can impact their business. More and more companies began recognizing the potential and started offering more services, including all-in-one solutions tailored to address a shipper’s every need. Warehousing, shipping, and supply chain management were all provided under one roof, saving shippers time and money. 3PLs around the world have adapted to changes in the logistics industry over the past 20 years. The value proposition of the 3PL has, in fact, evolved from simply saving money on freight shipments to include change management. Upon reflection, you might realize just how volatile the supply chain can be: events such as the bursting of the dot.com bubble, the terrorist attacks on 9/11, the 2008 financial crash, and the immense rise of cloud computing have all permanently changed the way the supply chain is managed. It’s natural for shippers to seek out information, anticipate changes in the transport network and supply chain, and be ready for anything. 3PLs such as AFP Global Logistics were, and continue to be, in the best position for counseling firms in this way. They deal with a broad range of industries and are a wealth of collective information. Because companies like us have been in the industry and seen the impacts of disrupting events firsthand, we can offer reliable advice and help you prepare for anything. 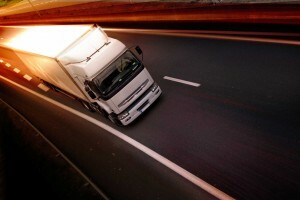 The logistics industry has also been a leader in developing the world market. As businesses looked to expand in the 90s, they found that these markets lacked the required infrastructure necessary for efficient transport of raw materials and goods. 3PLs took the knowledge they acquired from the advanced state of the domestic market and used this information to establish solutions on a massive global scale quite rapidly. While these international markets have certainly contributed to making the supply chain more complex, the knowledge and experience of 3PLs like AFP Global Logistics offset any difficulties that may result. AFP Global Logistics got its start as Air Freight Plus, Inc. in 1991. We grew and developed alongside the rest of the logistics industry over the span of the last sixteen years, turning into a full-service logistics company – all while staying committed to our ideals as a family-owned business. We have been dedicated to the business partnerships we’ve developed over the years and nurture our relationships to earn our clients’ trust. As the years passed, we noticed that many of our clients were coming to us looking for solutions in the events and trade show industry. By 2012, half of our total business was in this industry, and many of our clients were coming to us because they had experienced service delays when working with other companies in the logistics industry. That led us to establish a division of the company dedicated solely to the unique challenges and pressures posed to our clients in this field – AFP Expo Logistics. We dedicated this division to perfecting our service offerings in this arena, and our work has not gone unrewarded – today, our Expo division accounts for over 63% of our total business, and we are recognized as a premier leader in the trade show logistics industry. This entry was posted on Thursday, August 24th, 2017	at 9:49 am	and is filed under News	. You can follow any responses to this entry through the RSS 2.0	feed. Both comments and pings are currently closed.